A printer is an integral part of any business today, irrespective of whether you run a home business or have your own office set up. This device can also be used for non-business or non-office related activities, like when you would like to have a hard copy of a personal file saved on the hard disk of your computer. Many printers today offer additional functionalities like scan and fax. The price of a printer increases according to the functions it offers. You may or may not require all the features of a printer, especially if you are using it for your personal use. Most printers available in today’s market are quite compact in size. However, there are some heavy duty and big printers too for extensive commercial uses. The following article gives you an insight into some of the best printers and the features that they have to offer so that you can make an informed buying decision. The Epson Expression printer helps you take a hard copy of your files without using any cartridges. The wireless printer is loaded with ink inside the box that lasts for up to two years and is the quantity of about 30 ink cartridges. This ink can print a maximum of 14,000 black pages and 11,200 color pages that is on an average of 300 pages per month. The large easy to fill ink-tanks allows you to save up to 80 percent on your ink charges with affordable replacement bottles. The black printer has a large 2.4” LCD color easy to set up and navigate screen. The device has a pressure rating of 53 dB(A) and 6.6 B(A). It also features a paper loading capacity of 150 sheets. The accessory supports borderless 8.5” x 11” printing, auto two-sided printing and wireless printing from mobile devices. The Ethernet port allows you to connect the unit to multiple computers while the inbuilt scanner and copier allow you to meet your scanning and copying needs with the same device. The printer comes with uniquely keyed auto stop ink bottles. The Canon printer renders high-quality prints with increased color vibrancy and image sharpness using its V2 vivid and vibrant technology. The printer comes with a high capacity toner that allows you to fulfil your printing requirements without interruption due to toner replacement. The device prints color or black and white pages very fast, at a rate of 19 pages in a minute. It supports direct printing to USB flash drives in PDF, TIFF and JPEG formats. The white colored unit can be directly connected to mobile devices with a Wi-Fi direct connection without the need for router setup. It supports wireless connectivity to allow printing from both home and office. The auto-seal removal functionality helps in fast and easy installation of the toner by winding the toner seal inside the cartridge automatically after installation to help you start printing right away. The eco-conscious unit allows duplex two-sided paper printing. The Canon PRINT Business, Google Cloud Print, Mopria Print Service and Apple AirPrint apps help in taking printouts while you are on the move. It comes with a Canon GENUINE toner, 045 CMYK Hi-Capacity cartridge, 045 CMYK cartridge, starter guide, user software DVD ROM, power cord and warranty card. The HP color inkjet printer does much more than printing with its additional scanning and copying capabilities. 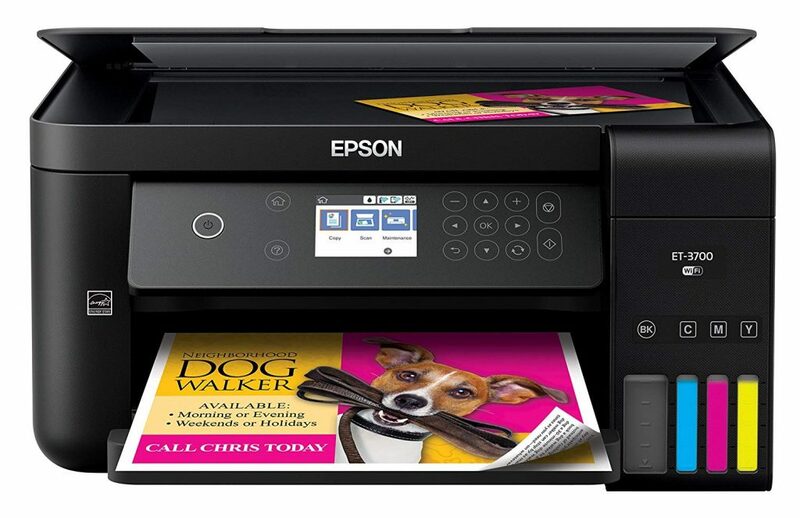 The printer supports Quiet mode, automatic two-sided duplex printing, wireless printing and scan to e-mail. The Instant Ink technology ensures that the printer always has ink whenever you need it. The AirPrint and HP ePrint apps allow you to print your files from anywhere using your Android smartphones and Apple devices, respectively, using Wireless Direct printing. The easy to setup printer is capable of printing borderless 4” x 6” photos on the edge of the paper without trimming and documents up to 8.5” x 11”. It also supports legal, letter and No.10 envelope paper sizes, as well as 802.11 b/g/n wireless networking. 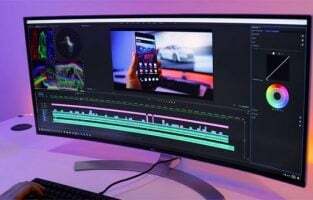 The unit features a hardware scan resolution of 1200 x 2400p, a copy resolution of 600 x 300p and scan file formats of TIFF, PDF, JPEG, BMP and PNG. The sleek and compact black colored printer comes with a 2.2” mono-screen that can be operated by a simple touch. The paper tray has an input capacity of 100 sheets and an output capacity of 25 sheets. It is compatible with Alexa. The device comprises a black ink cartridge that can print up to 190 pages. The HP color printer features an inbuilt wireless connection, Ethernet connectivity and connection through a USB interface to a single computer. The printer offers an all-in-one solution with its printing, scanning, copying and faxing needs for small offices, home offices and homes. It is compatible with mobile devices that encompass NFC capability that operate on Android 4.4 and higher. The device requires an Internet connection and connection to a wireless network. The Wi-Fi Direct 802.11 b/g/n connectivity and Mopria, AirPrint, Brother iPrint&Scan and Google Cloud Print apps. The cloud connectivity support helps indirectly printing from and scanning to popular Cloud services such as OneDrive, Dropbox and Google Drive. The black-coloured easy-to-connect-printer has a compact design with various features like automatic two-sided duplex printing and high yield replacement ink cartridges that pop in and out easily. The inkjet accessory encompasses a 2.7” color touchscreen that makes workflow navigation easy, a paper tray with 150-sheet capacity, an automatic document feeder and a bypass tray to handle speciality papers and papers of different sizes. When the printer is activated, the Amazon Dash Replenishment feature gets enabled and helps in measuring the ink level of the cartridge and placing an order on Amazon automatically. The Rollo printer is a speciality device that is used for printing free UPS labels and other thermal direct labels. The advanced thermal direct printing technology ensures that no toner or ink is required to print the labels. The device prints crystal clear labels with a maximum width of 4.1” and 4” x 6” labels, as well as high-quality bar-codes from various applications such as an Internet browser, Microsoft Word and Adobe PDF. It operates at a high speed of 150 mm/s. The grey colored printer has a rugged and portable design that makes it durable and compact at the same time. The accessory delivers an output of 238 labels in a minute for every four rows of labels. It has a simple button that when pressed will automatically detect the characteristics and size of the labels to be printed. 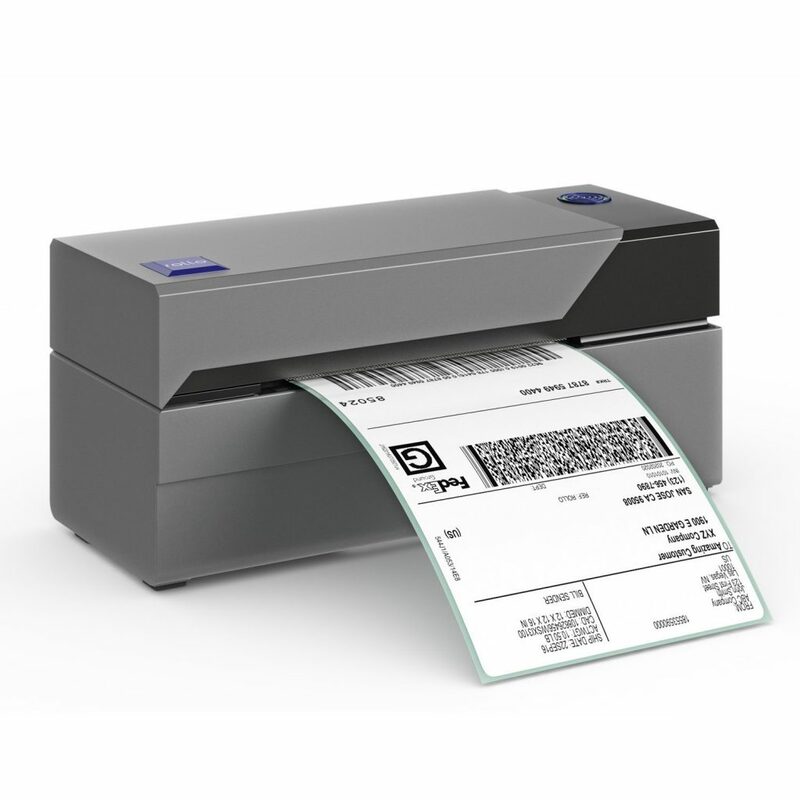 The commercial grade label printing unit is compatible with all shipping couriers and works with computers that operate on Windows XP and higher and Mac 10.9 and higher. The easy to setup unit comes with short how-to videos that demonstrate the setup process, along with excellent customer service through remote desktop, e-mail and phone. 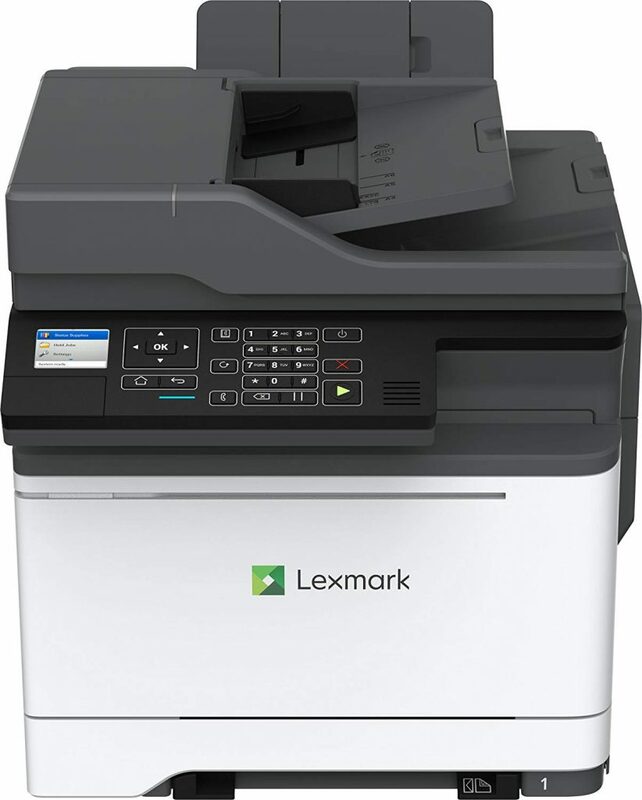 The Lexmark printer supports integrated automatic duplex two-sided printing with 250 sheets input capacity. The color laser printer is capable of printing 500 to 5,000 pages in a month that include approximately 3,000 monochrome pages and 2,300 color pages at a rate of 25 ppm. 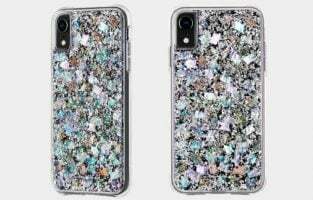 The accessory has a black print resolution of 2400 x 600 dpi and a color resolution of 1200 x 1200 dpi. It also offers color copying, color scanning and faxing functionalities with a scan rate of 50 pages per minute over a maximum area of 8.5” x 14” per page. The device supports CIS scanning in various formats that include XPS, JPEG, TIFF, JPG, BMP and various PDF types. The printer prints on media types comprising paper and vinyl labels, plain paper and card stock in multiple sizes such as A4, A5, A6, envelope, letter and folio to mention just a few. The device comprises a full-spectrum security architecture that helps to keep the information safe everywhere. The black and grey colored printer has a durable design with a steel frame. It comes with a 2.4” color LCD to configure and monitor system information, as well as a 150-sheet output bin. 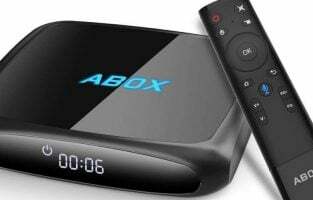 The accessory comprises various ports that include a front hi-speed Type A USB 2.0 port to print various formats without a computer, a Type B hi-speed USB 2.0 port, an Ethernet port and Wi-Fi 802.11 b/g/n. The energy management feature results in less power consumption both when the device is in sleep mode or in use. It is compatible with various versions of Windows, Linux, Citrix MetaFrame, UNIX and Novell operating systems. 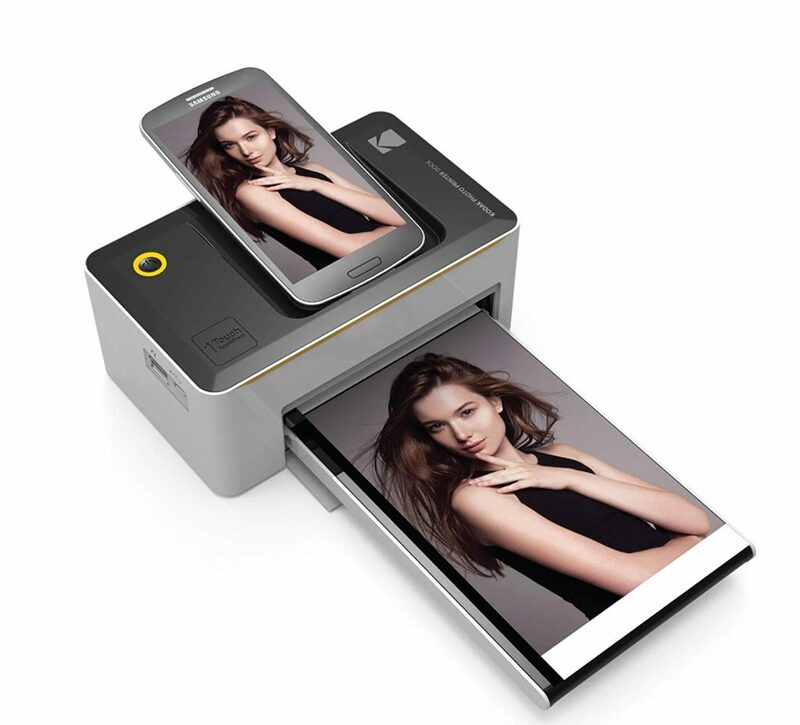 The Kodak printer features a printer dock that allows you to take a print of your favorite photos directly from your smartphone using the dye sublimation thermal transfer method. The printer supports automatic duplex printing and incorporates D2T2 thermal transfer technology that prevents bleeding and/or fading. The dock comprises an iOS lightning adapter, an Android 5-pin micro USB dock pin and a USB host. The unit prints high-quality standard 4” x 6” photos that are long-lasting, fade-proof and waterproof with excellent colors and clarity. The printed photos have an extra protective layer that preserves their image quality. The Pictbridge technology allows direct photo printing from digital cameras. The black and grey printer has a sleek and compact design that makes it portable and easy for you to take it with you wherever you go. The unit is capable of charging two smartphones during the printing process. 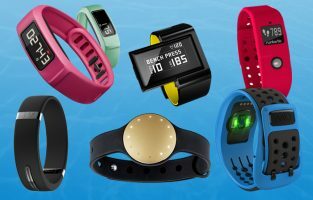 The accessory features a built-in Wi-Fi network that is compatible with any device. It supports the Kodak Photo Printer App that gives you a horde of editing features like card templates, stickers, filters, video and SNS print, collage creation and more. 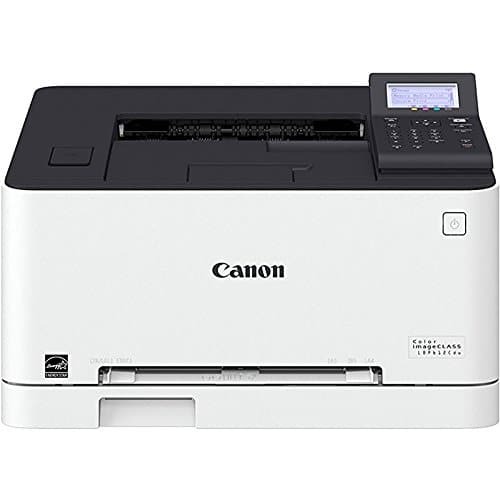 The printer encompasses wireless and USB connectivity options. It comes with a power adapter, a user manual and a 10-photo cartridge. 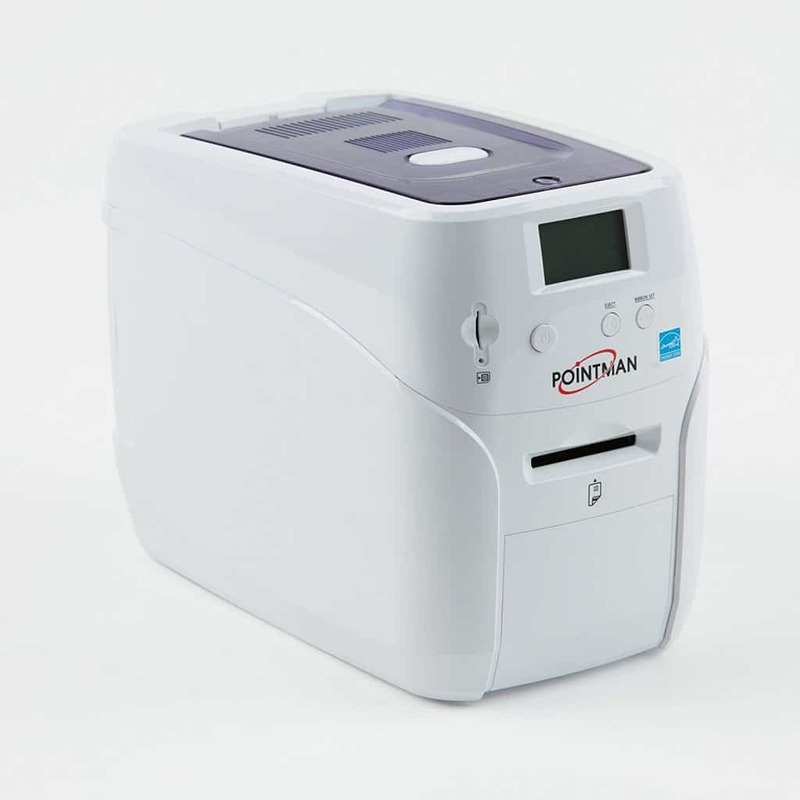 The Pointman printer has an ATM-like manual card feeder. The card printer is capable of printing full color single-sided ID PVC and composite PVC cards from edge to edge with a thickness range of 0.4 mm to 1.2 mm. The printing material must be manually inserted inside the feeder. The accessory prints 180 to 200 full color cards or up to 600 monochrome cards in an hour with a resolution of 300 dpi. It allows you to print the ID cards directly from your mobile device using the appropriate mobile app. 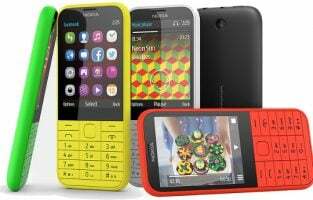 The white colored device has a compact, lightweight and user-friendly design with a simple user interface. 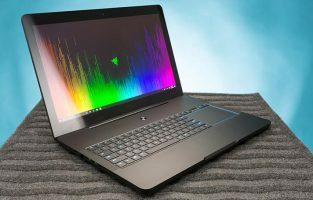 The unit also features a built-in 10/100 Ethernet port and a high-speed USB 2.0 port. It supports True Type fonts through Windows drivers. The printer is compatible with Windows 7/8/10/Vista, as well as Windows 2003/2008/2012 servers. It comes with a Kensington lock slot and multiple locks, preloaded Card Designer software and preinstalled printer driver. The accessory is compatible with various upgrades such as smart-card encoding, magnetic stripe encoding and contactless encoding. 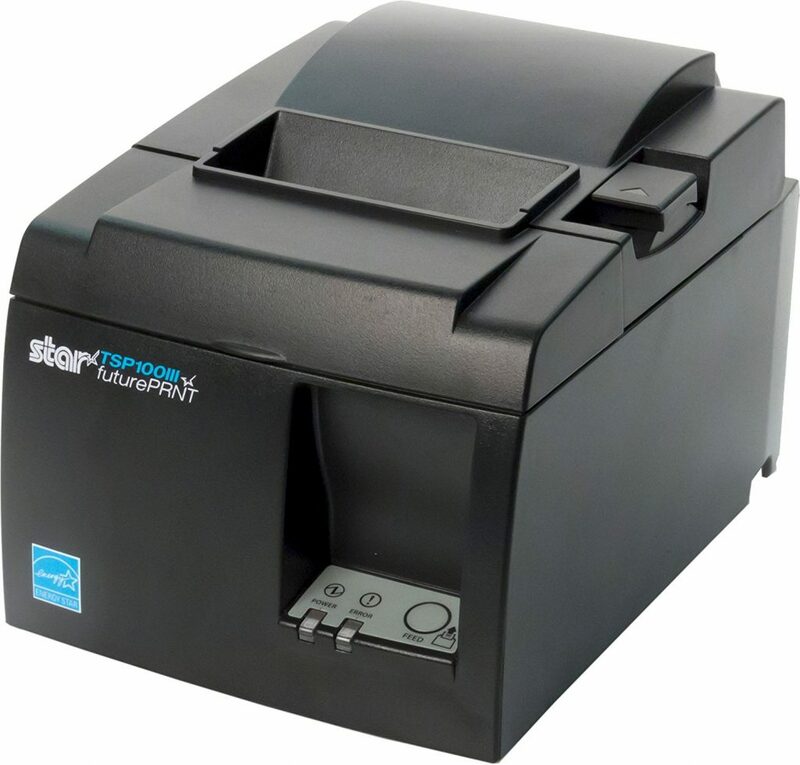 The Star Micronics printer features thermal print technology and prints receipts at a high speed of 43 receipts per minute. The printer also encompasses a guillotine auto cutter, an inbuilt power supply, real-time status alerts, thin paper capability and an error reporting feature. The device has a drop-in and print clam-shell design that helps you to load paper fast and easily. The de-curl functionality ensures that the printed receipts do not get curled and always remain flat. The future PRNT Windows software helps in customizing the receipts being printed, as well as adding logos or graphics so that they can be reprinted again saving a lot of time. The unit has a small footprint that makes it take up only a little space on the counter-top where it is placed. 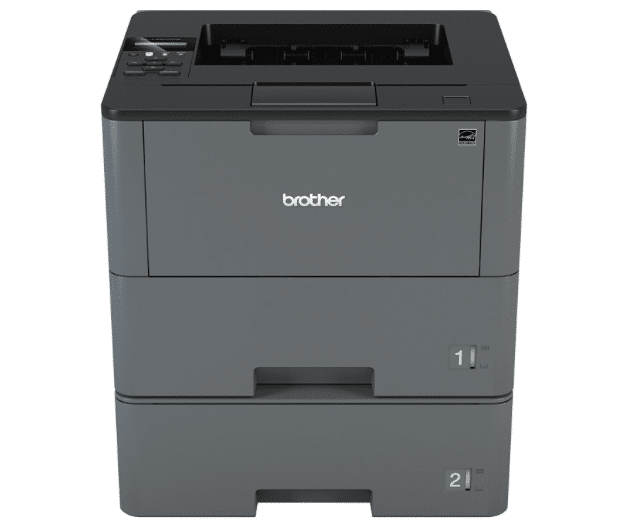 The Energy Star rated printer features an Ethernet connection that can be easily established. The device comes with a wall mount bracket, an easy setup guide, a 58 mm paper guide, a power switch cover, a 6-foot interface cable and a 6-foot power cable. It is available in two color options of white and grey. The Dell printer features fast printing and reliable performance that helps in increasing productivity and efficiency at the workplace. The printer has a state-of-the-art robust paper handling mechanism that prevents paper jams. The device has a unique low melt toner formula and optimized color calibration that ensure consistent and excellent quality color printing on all the pages. It can print 50 color or monochrome sheets in a minute with 600 dpi default print resolution. 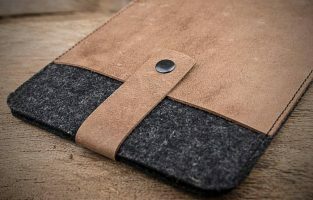 The accessory is compatible with different media types and prints on papers of multiple sizes like folio, envelope, statement, letter, legal, A4, A5 and A6 to mention just a few. The black colored printer has an eco-conscious design that allows you to minimize energy consumption without compromising on performance. The accessory has an intuitive 4.3” color LCD touchscreen control panel with an ultra-smooth surface on which you can swipe using your fingers, pointers or pens. The control panel also includes a 10-key number pad for entering security codes. The LCD offers a preview of the documents going to be printed and allows you to select only the pages that you need to get printed. The printer also has a USB port on the front to help you print files stored on your USB device, a 550-sheet standard input tray, a 100-sheet multipurpose input tray and a 300-sheet output bin. 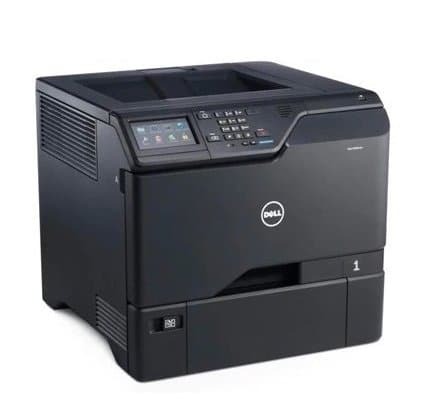 Additionally, the device provides mobile printing support with Dell Document Hub, Mopria, Google Cloud Print and AirPrint apps. It can also access files present in On-Premise folders on Microsoft SharePoint. The things you should consider are the speed and low-cost yet effective printing, especially if you have large workgroups. The type of printer that suits for office needs is the laser instead of inkjet. 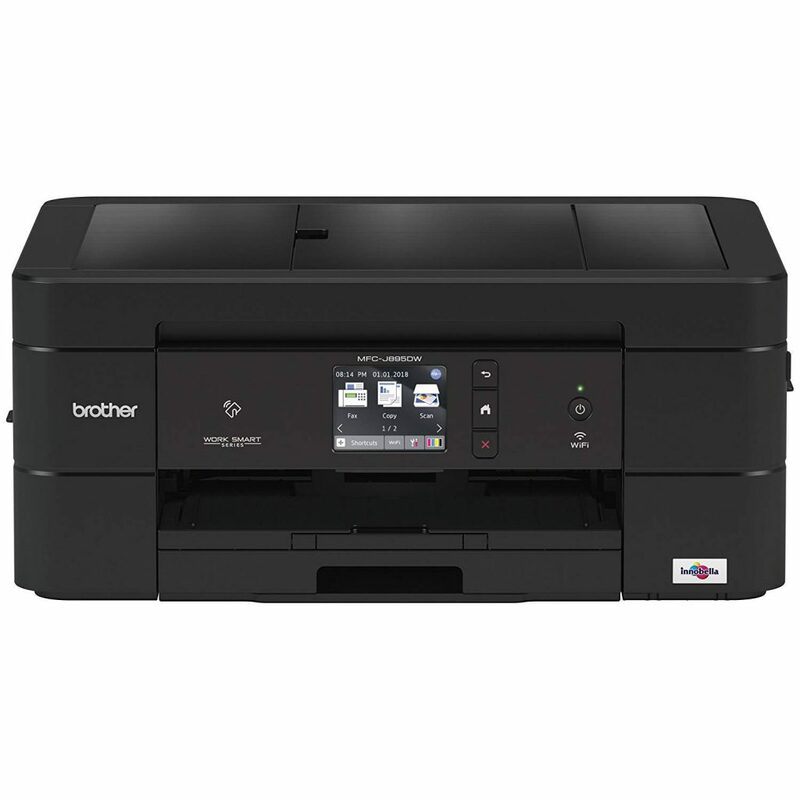 One of the best printers for office is Brother HL-L6200DWT. Its speed for printing is 48 pages per minute, thus it’s ideal for a busy office. You don’t need to waste your time standing next to the machine waiting for your prints. Brother HL-L6200DWT is equipped with 2 trays with 520-sheet capacity paper trays and an additional tray that can be expanded up to 1,610 sheets. The office has various needs, like making a professional brochure. The HL-L6200DWT has a duplex feature that allows you to print both sides of a paper. This feature will save money for printing up to 50%. For all of these great features, you have to pay $349 which is not a lot of money. But, it’s worth buying keep in mind it also has an advanced security system feature. It will restrict unauthorized printing and help protect sensitive documents. If you have a small budget for a printer, you should figure out what is your priority? Expecting too many features on a budget printer might end with disappointment. It would be better if you get less feature with a great quality. 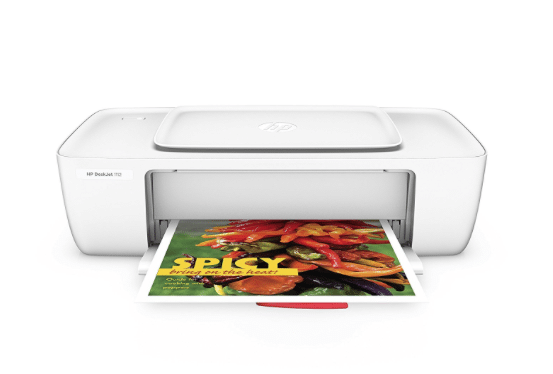 So, if your priority is for printing need only, HP DeskJet 1112 might be the one for you. HP DeskJet 1112 doesn’t have the scan and photocopy features. It’s specially designed for printing. However, with only $29.9 you will get the best affordable printer with inkjet. You can print both B&W and color in great quality. Interestingly, it allows you to print in plain paper, photo paper, and even brochure paper. Technology came to help us in many things. In photography, the printer can be very helpful in printing the masterpieces of photo shots. We can print the photo faster. But, not all printers can produce the best quality photo print. In finding a great printer for photos quality, you have to check its resolution. That’s the first thing to do. Which type is better, laser or inkjet printer? If you are looking for the speed, a laser printer is better. But, when it comes to photo print, you should choose an inkjet printer. 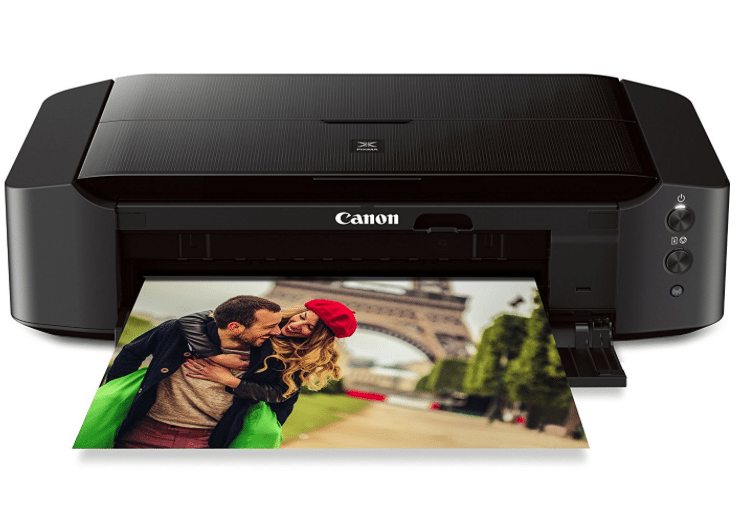 Canon Pixma iP8720 is one of the best printers for photos quality. It features a superior resolution up to 9600 x 2400 color dpi which can produce incredible quality and detail in your photo. It’s also provided with Full-photolithography Inkjet Nozzle Engineering (FINE) with a patented print head firing ink droplets as small as 1pl. The Borderless Photos Fast allows you to print borderless 4″ x 6″ photo in approximately 36 seconds.5,13. Unfortunately, Canon Pixma iP8720 is a bit pricey. However, with all the fabulous features given by the printer, a $214 is a worthy price. The two most popular types of printers today are inkjet and laser printers. Between them, laser printers have better print quality and are hence more expensive. This makes them better suited for large organizations with massive printing volumes. 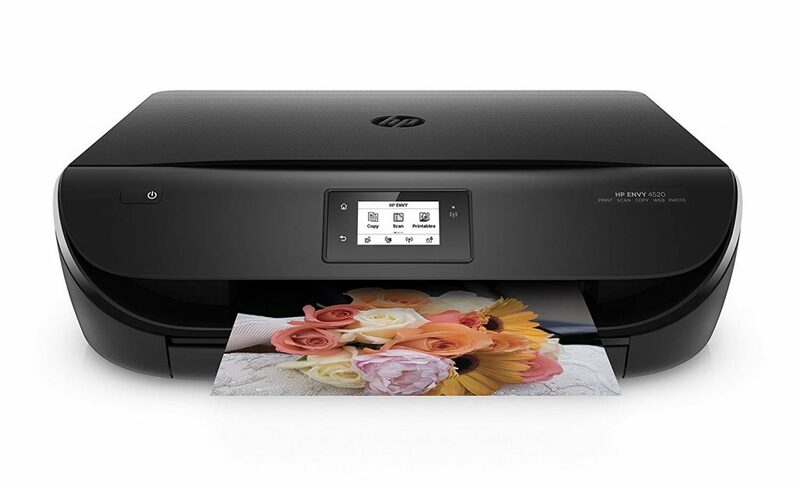 Inkjet printers are ideal for homes, home offices and small offices like startups. If you are likely to be involved in additional activities like scanning, faxing and copying, you may want to invest in a printer that supports all these facilities. Although such printers are quite often priced a bit on the higher side, they are definitely more economical than buying a printer, a scanner, a copier and a fax machine individually. On the other hand, to meet specific printing requirements such as labels and ID cards, it is worthwhile checking out printers that have been exclusively designed keeping this need in mind.